Preparations are underway in many parts of the Northern and Eastern provinces to commemorate the brutal end of the civil war in 2009. Religious leaders, politicians and members of the civil society in the two provinces have organized several events in the two provinces today, the 18th of May. Eight years ago, thousands of Tamils were brutally massacred in eastern coastal region of the Vanni as the government intensified its war against the Liberation Tigers of Tamil Eelam (LTTE). Although the Rajapaksa government described the military operation as a humanitarian mission to liberate the Tamils from the clutches of the LTTE, it was an international secret even then that Sri Lanka’s military and the political leadership in Colombo did not have an iota of concern for the people trapped in the war zone. The LTTE, for its part, prevented the Tamils who wanted to leave the No Fire Zone contributing to the rising death toll. Until 2014, the Rajapaksa government with the aid of the military had used various strategies to ban the commemoration events that had been organized in the North and East. With the regime change in 2015 and the subsequent expansion of civil space for political action in the North and East, public commemoration events took place on May 18 in the years 2015 and 2016 with the participation of the families of the victims, politicians, civil leaders and religious dignitaries. Activists from the South also joined some of these events. The Great Heroes’ Week for the slain LTTE carders was also observed in the regions in 2015 and 2016, with a significant number of people participating in public commemoration events held in the latter year. Despite the loosening of restrictions on political activities taking place in the Tamil-majority areas by the Good Governance Regime, the people in the region and political activists are continuously under the surveillance of the military. The current regime has not done much to put an end to the military’s interference in the political and civil activities initiated by the people. In a statement issued on May 17, 2017, the Jaffna-based Adayaalam Centre for Policy Research (ACPR), a not-for-profit research think-tank that works on public policy issues in Sri Lanka with a special focus on issues affecting the Tamil polity in the island, notes that Tamil civil society activists involved in memorialization work, including some who work with their organization, have been repeatedly visited and interrogated by military intelligence and police. 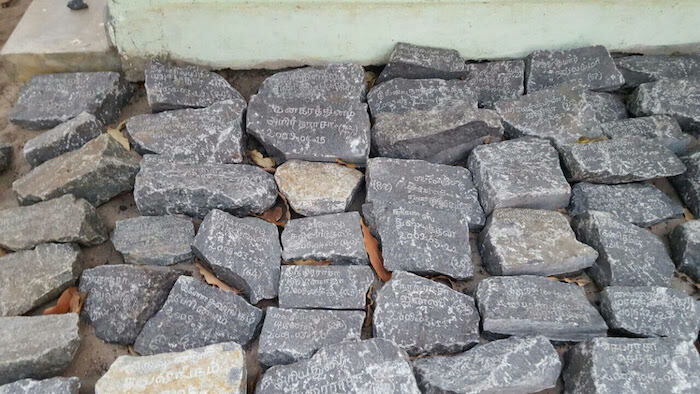 The statement further says: “On May 16, two civil society activists were summoned to the Mullaitivu police station and questioned about their work on a memorialisation project carving the names of Tamils killed in Mullivaikkal on stones. One day later, on May 17, police issued a letter from the Mullaitivu Magistrate’s Court ordering a stay of the memorialisation event Tamil civil society was planning for May 18th on the grounds that it “threated unity and national security.” The statement contends that [the] repression of May 18 commemorations of the tens of thousands of Tamils killed is a massive infringement of the Tamil community’s right to collectively mourn and is contrary to the path of good governance and reconciliation the Sri Lankan government continues to state it is on to the international community. The government’s opposition to memorialisation underscores the lack of political will they have for accountability and reconciliation efforts and once again points out the government’s double-speak. The center has urged the government of Sri Lanka to put a stop to all harassment, intimidation, surveillance, reprisals and interference by security forces (military, police and military intelligence) in relation to memorialisation efforts by Tamil civil society and communities. It emphasizes that the government should adopt a position on memorialisation that explicitly acknowledges the right of Tamil and Muslim communities in Sri Lanka to mourn loved ones who were killed during the war. In the meantime, dissident Tamil activists who spoke to Colombo Telegraph note that while the state is merciless in its repression of the Tamil people’s right to memorialization and arrogant in its treatment of the activists who are organizing the memorial events, the Tamil nationalist civil society and politicians have shown hardly any interest in inaugurating a dialogue on the role of the LTTE and various other Tamil actors who are complicit in the tragedy that the Tamils went through during the 30-year civil war. One of them said even though various testimonies by the people in local and international forums demonstrate that large number of civilians were detained by the LTTE in the No Fire Zone without their consent at the peak of the war, the organizers of the memorial events are still reluctant to talk about this repulsive side of the tragedy. Promises Made, Promises Kept – The First Instalment! Leaving The Country: A “Land Like No Other !